On Tuesday night, we ambled down to the San Francisco SPCA meeting room and sure enough there was a crowd of about 60 people. Since we were a party of six, at least 10% of the people in attendance were not "believers" and there was not the 140 they claim were there "packing the halls". There was that brief moment when my youngest said he might have to go work for them, but after assuring him he will have to eat lettuce and tomatoes which he always removes from his hamburger sandwiches as if someone has included an inedible non food item, he quickly re-assessed his position. Background: some kids will most likely grow up to be comedians. The meeting started with a brief introduction of some of the key note speakers and what we could look forward to for the next three tortuous hours. Pacelle explained how in 24 states citizens are able to put forward initiatives and that they were 4 for 4 in California and hope to be 5 for 5 after the Nov 2008 General Election. Pacelle said that they would end the cruel confinement of factory farms. He cited a 62% ballot success in AZ eliminating pig and veal confinement in 1996. Forewarning that the "large agricultural industry will fight" over the 19 million egg laying hens and 20,000 pigs in this state which represents "the worse abuse in the industry". He claims people will come out of the woodwork (like cockroaches I imagine) to get involved in getting signatures and "educating" (more like indoctrination through repetitive word exercises) and then they can mobilize that into a formidable force for other "campaigns" (yes, that means your animal or your favorite meal will be next on the chopping block). Christine Morrissey of East Bay Animal Advocates a hard line Arista Group that targets specific stores and tries to shut them down with tactics like leaflet protests gave her "California Love" to the attendees. 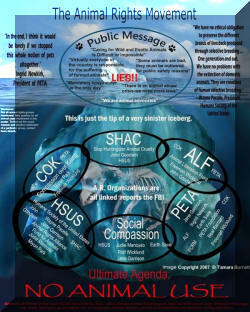 Marsha Slackman of Art For Animals asked for support with "major gifts" to fund the HSUS effort. Paul Shapiro, the HSUS "Initiative Expert" (tomorrow he may be the Elephant or Bear Expert) http://en.wikipedia .org/wiki/ Paul_Shapiro introduced a video shown on a small old monitor set. It was narrated by Mary Tyler Moore and was of very poor quality: citing barren metal crates (note to chicken industry: talented interior decorators can be found in San Francisco Castro district), chickens have distinct personalities (is it true?!) With 90% in battery cages with 100s of millions of chickens dying in battery cages each year. [MY DISCLAIMER: Not sure anything is factual or even pertinent to California actually, just reporting their claims.] Shows calves chained by the neck in open crates not the type used in CA fed exclusively a liquid diet (horrors! it’s MILK! )deficient of iron and fiber (yep, milk has no fiber) then slaughtered at five months of age before they can have a chance to play. OK they got that play issue as a solid point but somewhere in the back of my mind I remember my mother saying it was impolite to play with one’s food. Anyways, back to the never ending lectures, Shapiro says his hair stands on end when faced with the roller coaster of emotions as they are about to "make history". Emotion is a key word OVER & OVER AGAIN. Shapiro went on to say that their initiative will set a precedent for legal protection of animals in California and will be THE CENTRAL FRONT in the debate of Farm Animal Factory Production and that their initiative is a "modest" one. He accused the farmers of being "mean-spirited animal abusers" who are "political powerful;" and have been able to tie up this issue in agricultural committees thus far but "can’t win on a ballot" and that agricultural business FEARS DEMOCRACY. That the AG Biz misleads and distorts the truth (he must have been looking in the mirror) and confines chickens to the size of half a sheet of notebook paper which he folded and demonstrated. He claims the industry will not debate the measure itself and will lead efforts to mislead voters (oops there’s that mirror again, must be a narcissist) and will fight to defend their profits (oh there is an un-American concept: PROFIT). He claims chickens are barely able to "MOVE AN INCH" and that this campaign is a test of basic decency to those treated without an ounce of mercy. That "ATROCITIES" and "CRUELTIES" must be banned and with relentless determination they can make their initiative record 5 out of 5. Wonder who will be the target for 6 out of 6? 1972 – 1990 Only one success that being in South Dakota to ban hunting of mourning doves which was later overturned. 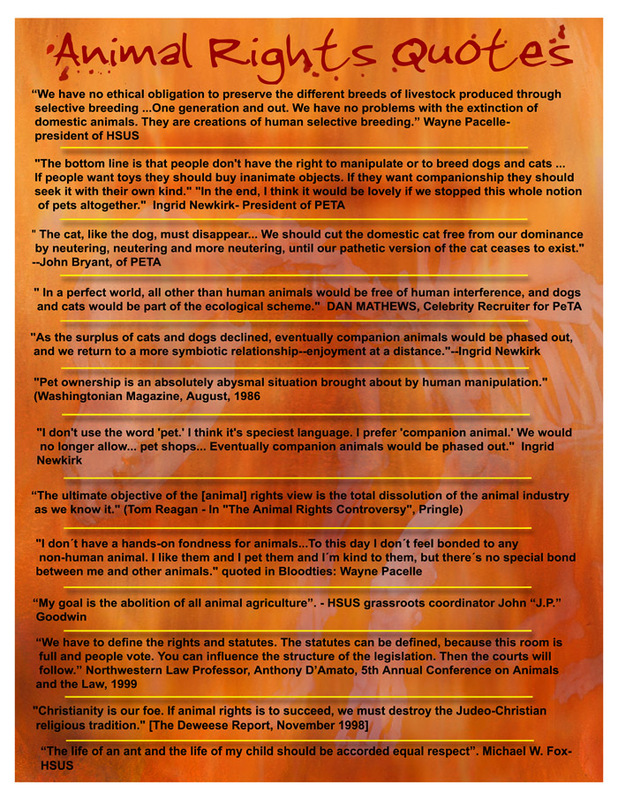 1991 – 2007 20 Ballot issues have been won since then in the "life and death" struggle of animals. 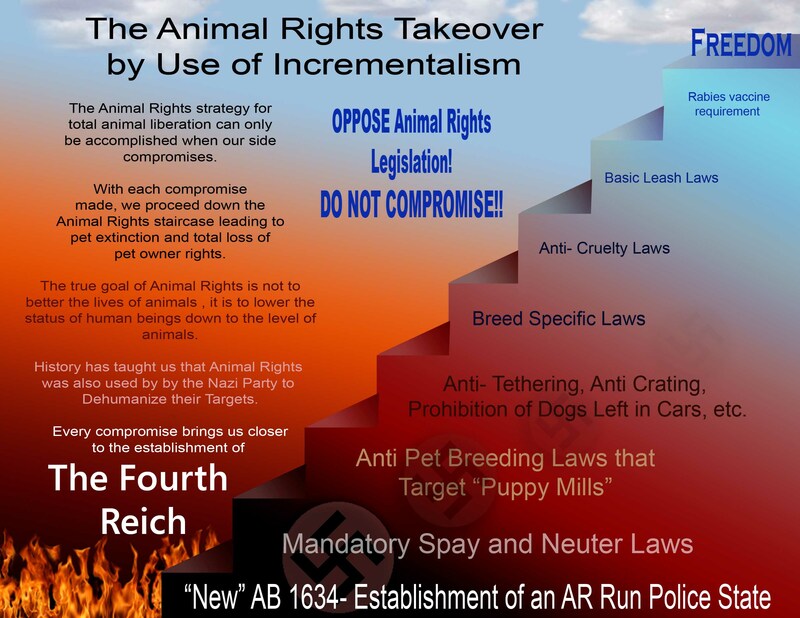 Shapiro warned his audience that opponents will say this is but the first step to other BAN legislation; will morph into other measures; will take away freedoms from animal owners and use; is a grand scheme to stop using animals in society. So, therefore, THEY must discipline themselves in this campaign of DO or DIE, and with 5% of the voters signatures, will be able to get the measure on the ballot. Shapiro claimed "Our movement has never failed" with a 75% WIN ratio (as a math major, something does not add up there, must be the new math?). And they were going to give these industries a "taste of animal reform" (must be a vegan dish). He went on to say that the egg industry wants to raise 20 million chickens and profit from the exploitation of animals. They will try to confuse the public. Shapiro said that "We ran a public survey and 65% of the public or more agrees with the initiative before even their first wave of education ( = propaganda)" . He explained how they cannot "pay" the signature gatherers as they need to reserve their monies for the "communication campaign" which is not critical yet but will build as they try to attract supporters (that reads $$$ another good reason for… you guessed it—donations! !!). The public is not yet focused on the 2008 election. That normally between $1.00 - $2.50 per signature is paid to place an initiative on the ballot but with their volunteer help doing it for no cost, they will be able to spend the $$$ for the communications campaign so they want it to be an all volunteer effort and show this comes from "the people". That 650,000 up to 1.3 million signatures will be needed to place the measure on the ballot. They need 1000 committed volunteers in the state to commit to 1000 signatures each calling them a "Special Ops" team like in the military and then Pacelle mentioned the "particularly egregious cruelty to these animals". Broken down to a numbers game, it takes 20 to 25 signatures per hour x 50 hours which can be 10 hours per month at 2.5 hours per week to achieve this goal, soliciting at movie theaters (they suggest threatening to spoil the movie if they don’t sign while waiting in line), fairgrounds, Whole Foods (which has already approved supposedly signature gatherers in Southern California locations, hoping for approval in No. Cal.). Pacelle went on to say that all indicators are ascending in society like the Mick Vick case, the Katrina pets (no, he didn’t mention the $34 million missing in donated funds, or the missing pets as those aren’t indicators), crisis and subsequent awareness in food safety and supply, all point to a more hospitable time to accomplish their goals. Small groups of leaders make social change and provide the opportunity for the rest to do the right thing. 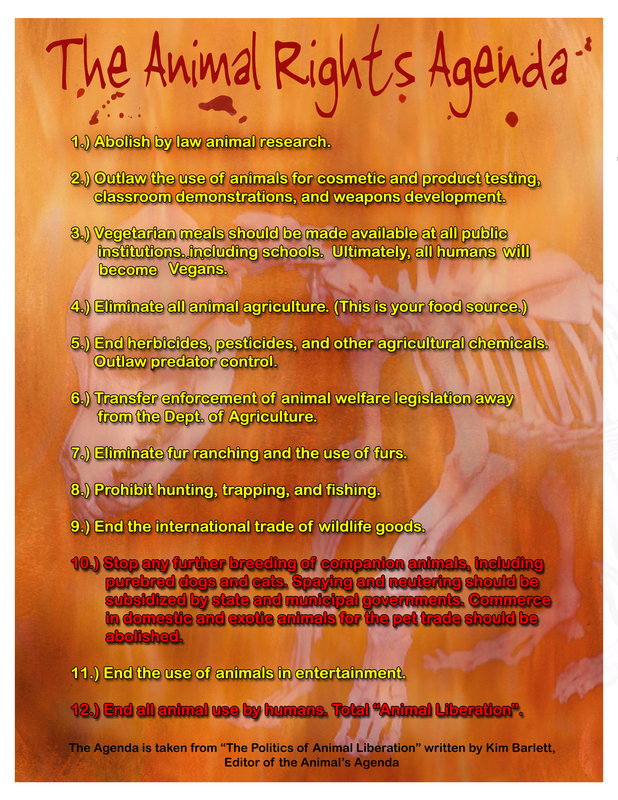 Peter Brandt, the official initiative supporter is Los Angeles based, said " I am with HSUS to stop the animal cruelty and inhumane farming practices as even animals for food deserve to be treated humanely. Industrial factories pollute the environment, and foul the air, water and soil. Don’t be discouraged by those that refuse to sign." Pacelle said that there are 10 billion chickens raised for food in the U.S. and now some are going for vegan and vegetarian instead. Jennifer Hillman, HSUS Ballot Director (aka Rabbit in the Hat expert) reiterated "only three hours a weekend with 25 signatures per hour will meet the minimum goal in the Bay area and think of the horrible images when struggling to get signatures and it will only be for 150 days". Signers and gatherers must be registered to vote in California so if you are not registered, do it now as your vote will be needed as well. To attract people, smile and dress to match your signers and bring your dog as it acts as a magnet that helps get signatures. If someone says they are against the measure or principle, say that’s fine, sign so it can get on the ballot, then you can vote against it. And don’t waste anytime speaking about the ballot issue with anyone, that is too valuable time to get those valuable signatures. Pacelle began to ask for volunteers for the "1000 Club" and it seemed there were some of "them" in the audience that spoke up and then another that promised 5000 signatures and then Pacelle said in the moment of excitement, "Are you inspired by your Co-Religionists? !"